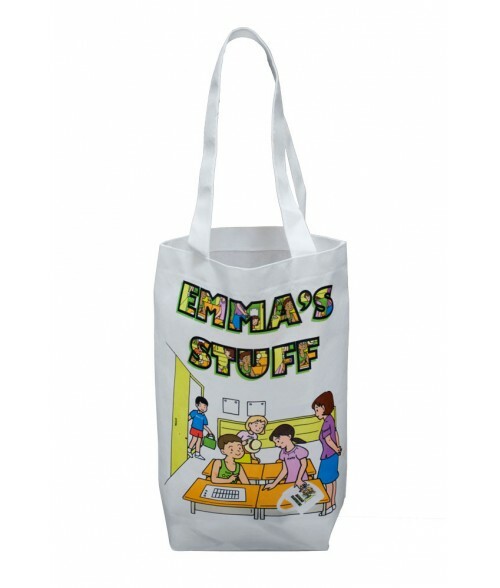 Tote bags are perfect as school totes, lunch bags, clothes bags, laundry bags, laptop carriers, grocery totes, travel totes and more. Not only are they durable and attractive, they also look great over your shoulder, over your arm, or carried in your hand. 7" x 8-1/2" x 6"